The connecting rod, or Conn-Rod as it is commonly known is an integral part of the internal combustion engine, its sole purpose is to connect the Crankshaft and Pistons to provide the correct distance and movement between these two engine components. 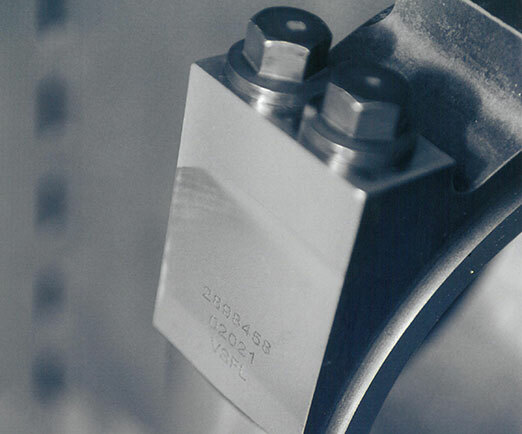 The Conn-Rod is usually drop forged from a combination of steel alloys, although this would depend on the design of the connecting rod, fracture split design would require a different grade of steel alloy for example. 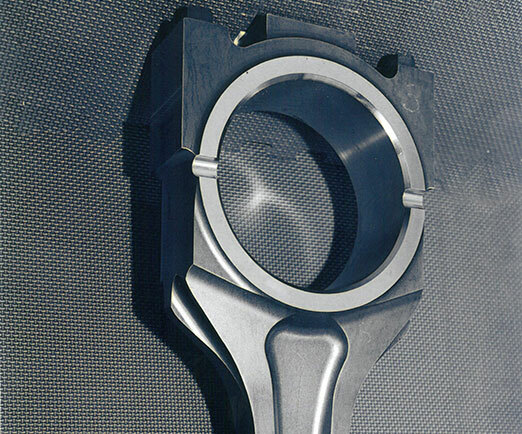 It would also not be unusual for prototype parts to be machined from a single steel billet, this method is used when tailoring the Conn-Rod to engine designs before forging dies have been manufactured, for mass production purposes. The manufacture and design of the Conn-Rod is vital to its longevity and engine performance, it has two main bores known as the large end, this would attach to the crankshaft, and a small end, this would attach to a piston, via a gudgeon pin. These features need to be controlled to precise dimensions to ensure maximum engine efficiency. There are of course other elements that are vital to the production and eventual assembly of the Conn-Rod, for example very close attention needs to be paid when machining the Pitch of these bores, as this would ensure smooth assembly on the engine production line and provide the correct engine performance. The connecting rod is normally compiled of a forging, bolts, dowel pins and a small end bush. These components all play a significant role in the quality and application of the Conn-Rod. The bolt and torque configuration ensure the rod and cap elements of the Conn-Rod remain together throughout the engines life. The dowel pins used in some connecting rods ensure a secure and accurate location between the rod and cap parts, this is necessary for both manufacture and assembly of the Conn-Rod. The bush can be manufactured using aluminium, silicon or bronze and is inserted into the small end parent bore during production. The bush is a part of the Conn-Rod that will be replaced during an engine recondition as standard. Manufacturing Conrods is an extremely precise and complicated process, they play such an important role in the engine that some significant features need to be statistically controlled and all machining is manufactured to an extremely high standard with micron precision throughout. Albon engineering’s advantage and solution is to keep as much production, manufacturing, design & engineering as inhouse as possible. This reduces lead time going into production. A deeper explanation on connecting rods! If you are interested in finding out more, further information can be found on the development, connecting rods page.